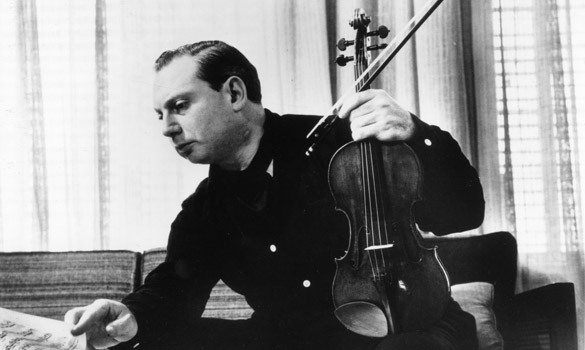 Isaac Stern, an American was one of the world’s greatest violinists of the 20th century. When Stern died aged 81 years in 2001, the executor appointed under his Will auctioned off his legacy intended for his children including autographed photographs, violins and his music collection allegedly to pay off estate debts. Stern’s children sued the executor alleging that the executor had wrongly excluded their father’s apartment from the estate and paid himself thousands of dollars leaving the estate unable to pay off the musician’s debts. The Probate Court in the USA found that the selling of Stern’s legacy caused his children to suffer “incalculable personal loss”. The Court also ruled that the executor had to pay back to the estate $313,000 which the executor had paid to himself stating that this payment from the estate was “outrageous, improper and unjustified”. The example of the estate of Isaac Stern above highlights the importance of the management of a deceased estate. Serious financial and emotional ramifications may be caused to the family members of the deceased if the estate is not managed properly and in accordance with the law. This may result in the executor or administrator of the estate facing personal liability. I have been appointed as an executor under the Will made by the deceased. The family members are squabbling about how the estate is to be managed. What are my duties? My mother has died without a Will. My siblings have agreed that I should be the administrator of my mother’s estate and distribute the assets to all the beneficiaries. What are my duties? When a person dies with a Will, the “executor” is the person appointed under the Will to administer the estate. The executor applies to the Court for a “grant of probate”. The purpose of this application is to prove the validity of the will. When the grant is issued, the executor has the authority to deal with the estate of the deceased. When a person dies without a Will, the deceased is said to have died “intestacy” and the beneficiaries are determined by law. Usually, one of these beneficiaries makes an application to the Court for a “grant of letters of administration”. The purpose of this application is to prove to the Court that the person applying is the most appropriate person to be appointed the “administrator” of the deceased estate. When the grant is issued, the administrator has authority to deal with the estate of the deceased. “Executors” and “administrators” are known as the “personal representatives” of the estate of the deceased. Must preserve, protect and administer the estate diligently. They must ensure that the estate does not suffer a loss as a result of any deliberate or negligent act. Must deal with the estate in accordance with the wishes of the deceased as set out in the will (if applicable) and the law. Must not misappropriate any funds of the deceased estate for their personal benefit. Must not use any assets of the deceased estate for their personal benefit. Selling assets of the estate at undervalue. Failing to discharge debts of the estate. Using the funds of the deceased estate to make unauthorised investments. Making a personal profit from the assets of the deceased estate. If a personal representative breaches the duty owed to the estate, a beneficiary or creditor of the estate can commence legal action against the personal representative personally. If found liable, the personal representative must personally bear the loss to the estate. Make enquiries with family members and with the deceased’s lawyers or accountants to find out if the deceased left a Will. Go through the deceased’s personal effects, open any safe deposit box which the deceased may have held, check whether the deceased had a lodged a Will with the WA Will Bank managed by the Public Trustee and enquire with the deceased’s bank as the bank may be holding important documents for the deceased. In carrying out the search, bear in mind that any document although unsigned or not witnessed but which sets out the intention of the deceased relating to the distribution of assets upon death may be recognised by the Court as an informal Will. When so recognised, the assets of the deceased will then be distributed in accordance with the informal Will. Make an inventory of all of the assets and liabilities of the deceased. This will include bank accounts, investment accounts, insurance policies, superannuation funds, retirement village or aged care accommodation bonds, shares, businesses, real estate, motor-vehicles, tools, furniture, art work, antiques and personal effects such as jewellery and watches. In relation to the liabilities of the estate, this would include mortgages, car loans, business debts and other personal debts. Where appropriate, the value of such assets and liabilities must be ascertained by obtaining written confirmation from the relevant financial or investment institutions or by obtaining valuations from licenced valuers. Secure valuable assets to prevent theft and damage. For example, keep valuable jewellery in a safe deposit box and arrange for protection and supervision of vacant land and buildings. Ensure that valuable assets are insured. For example, insure any real estate against fire and damage and any valuable personal effects against theft or loss. Make arrangements for the proper management of estate assets. For example, if there is an operating business or farm, arrange and oversee their continued operation. Assess the immediate needs of the beneficiaries to ensure that where appropriate, they are placed with funds and do not suffer any unnecessary financial hardship. Consider whether any assets should be immediately sold to prevent erosion of the value of the asset. Deal with queries from residuary beneficiaries, creditors and other stakeholders. Seek legal advice on any complicated or unclear issues and if appropriate appoint a lawyer to handle the estate matters. Apply to the Supreme Court for a Grant of Probate or Grant of Letters of Administration. Apply for all pensions, death benefits, life insurance or any other benefits that are payable to the deceased estate. Arrange for the orderly and proper sale of the assets of the deceased. For example, where appropriate, appoint an auctioneer to sell off the furniture, antiques and other collectables of the estate and appoint a real estate agent to market and sell any real estate. Pay all legitimate debts and expenses of the deceased and the estate. Consider whether or not to advertise in the local newspapers for creditors and claimants of the estate to come forward and make their claim. Review the legitimacy of any claim made and pay off such claims from the estate funds. Appoint a tax accountant to prepare and file tax returns with the Australian Taxation Office for the deceased (for the period prior to death) and the estate (for the period following death). Consider whether any capital gains tax is payable. Pay the taxes assessed before paying the beneficiaries. Set up any trust required. Trusts are required if the beneficiary is under 18 years of age or mentally incapable, or if there are specific instructions in the Will. Administer the trusts for the length of time and on the conditions set out in the Will. Prepare the financial statements of the estate showing all monies received on behalf of the estate and all payments made. After payment of all debts and taxes of the estate, distribute the balance of the deceased’s property in accordance with the Will or with intestacy law.